If you are looking for a quiet getaway island to visit on your Vancouver bareboat charter, then Mayne Island is the place to go! A quiet, pastoral and unspoilt island, it is located at the outer edge of the southern Gulf Islands, about halfway between the lower mainland of British Columbia and Vancouver Island. The island is very small at about 8 square miles and with a small population of just over 1000, but it is very friendly and a perfect place if you want to escape the rat race on your Vancouver bareboat charter. In the south-central part of the island is Mount Parke which is around 840 ft tall. The island has a natural beauty made up of beautiful seascape, picturesque farmlands with deep forest making up the west coast. The weather tends to be dry and mild. 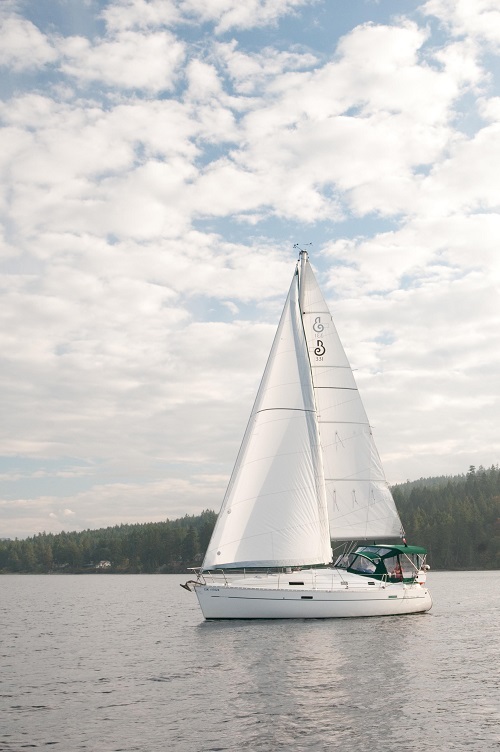 It is generally very quiet and serene as few people venture on the island, so the perfect place to stop on your Vancouver bareboat charter. The sea between between Vancouver and Vancouver island, known as Active pass, is very busy being the maritime gateway between them. There is plenty to do on the island itself both for the active and more laidback visitors! Water activities like kayaking, boating, swimming and great attractions here. If cycling is your thing, then a day-long circumnavigation of the island is a must! The roads are well paved and you will see some beautiful sights from the historic old farms to the dense forests en route, but be prepared for some challenging climbs! If beachcombing is more your things, then there are fabulous beaches on the east shore at Campbell Bay and Bennett Bay, which are great for families with picnic spots, a playground and a putting green. Hiking up Mount Parke, is great for a little challenge and the views at the top are well worth the walk. There is a small selection of shops and art galleries to browse around, plus a small amount of restaurants and dining spots to enjoy. There are a few annual events held on the island, which you can find details on the local bulletin boards at the Fernhill Centre. The local community centre also hosts drop-in sessions of yoga and tai-chi if that’s your passion! The Agricultural Hall built around 1900 is a good site to visit, especially on a Saturday morning when it becomes a bustling market. The old jail is now the island’s museum and is worth a trip to read about the local history. 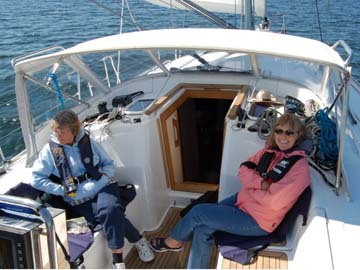 You will also find a grocers and other basic amenities in Miner’s Bay as it’s the place to come in on your Vancouver bareboat charter. There is a lovely and tranquil Japanese Garden located in Dinner Bay Park, which is a memorial to the Japanese community that used to live on the island before being located to internment camps during the Second World War. Mayne Island has no visitor centre, but you can get a Map and Visitor guide from local ferry ports or shops before you visit. 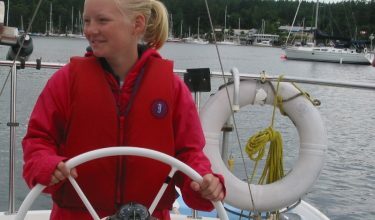 Mayne Island is perfect for a day trip whilst on your Vancouver bareboat charter as it can easily take a day or two to see everything this charming little island has to offer.